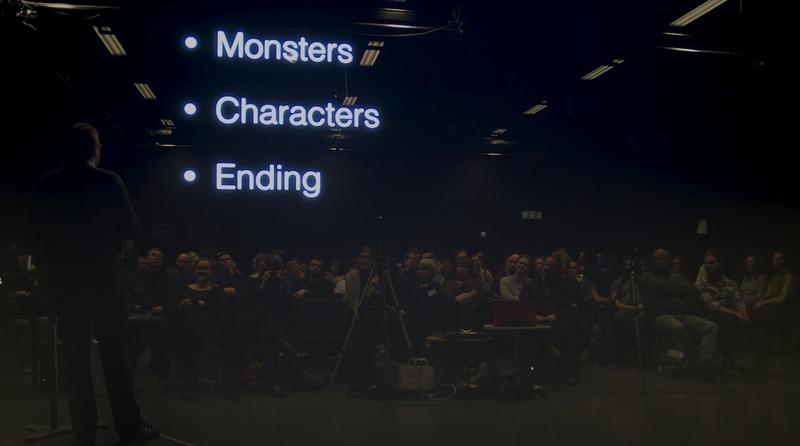 Larp in refugee camps, the worlds first robot larp, political Suffragette larps and many other takes on larp design and much more was covered in Nordic Larp Talks Gothenburg 2014. Here you can watch all the presentations as a playlist. The evening was hosted by writer and radio & television host Johanna Koljonenand produced by Petter Karlsson at Visual Arena Lindholmen. Nordic Larp Talks is Gothenburg 2014 was organized in connection with Knutepunkt 2014 and A Week in Gothenburg with support from Interactive Institute Swedish ICT and Visual Arena.